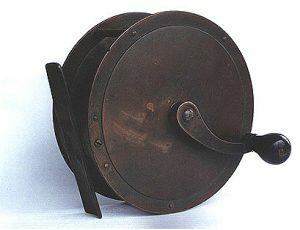 Antique Tackle Observer - A depository for information on the history of fishing tackle.Antique Tackle Observer | A depository for information on the history of fishing tackle. Many of you who know me are aware of the fact that I have been working on a book on the history of the Nottingham fishermen and tackle makers for many years now. 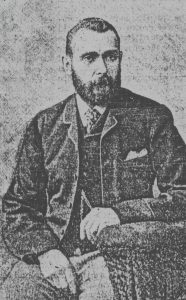 David Slater is one of the characters central to that work. Many people have asked me when the project will be completed, as they want to know more about the man and his work. The short answer is that it is nowhere near ready and there is still an unbelievable amount of research to be carried out. So in the meantime for those readers who do not know who he was – an introduction. “Why collect tackle from Aberdeen?” is a question I am sometimes asked. 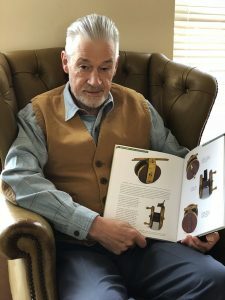 Well – I was brought up in the area, fishing mostly on the rivers Don and Deveron, so when I started collecting it seemed to be the most obvious place to concentrate on. I had a brief flirtation with Hardy tackle but luckily managed to trade most of that on a couple of years ago. I still get tempted by some of those wonderful Perth style wooden reels, Sun and Planets and, oh yes, a Malloch trout in a biscuit barrel case and a Pirn would be nice too! But in the main I stick to Aberdeen tackle and the old tackle catalogues. So why collect tackle from a particular area? An advantage is that your collection can comprise the whole spectrum of piscatorianna, rods, reels (including fly and spinning), flies, lures, gaffs, nets, ephemera etc. You could amass a selection of the major British manufacturers. 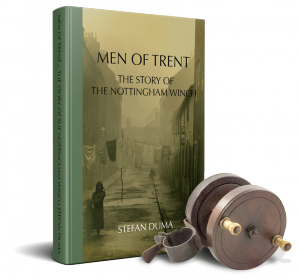 I would just like to announce that I have finished the book on the early history of the Nottingham Winch.